Great wear resistance and advanced UltraDrive performance at an affordable price. Updated design allows removal of single cogs making it easy to replace worn gear combinations or customize your drivetrain. Durable nickle-chromed finish. Includes lockring(16g). 250g. I always get a great deal at Western Bike Works. Shipping is fast and the quality is always good, I buy most of my components and accessories from here. 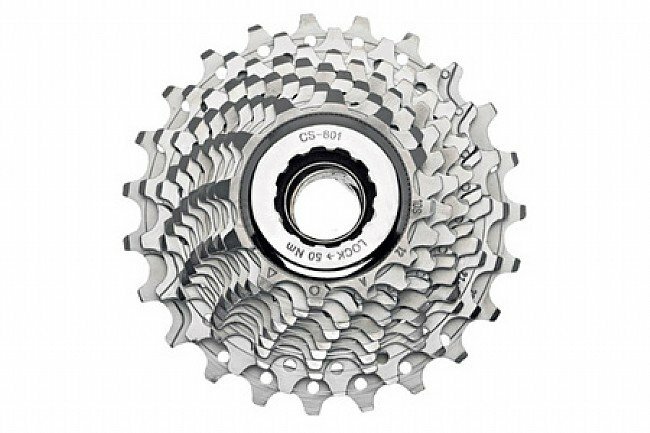 Best price I could find online for the replacement cassette. This is the cheaper model so weighs more but for the price I'm happy. I bought this cassette as an alternative to running a full on compact crank set up. Running a standard 5339 chainring it allows me a awesome climbing ratio at a small sacrifice losing my 11 tooth high gear. Would like to see it finished less shiny but it works like a charm for the lower cost. Smooth shifting and quiet. Excellent cassette for the money! Durable and relatively inexpensive cassette!